Who knew summer in Vancouver was so sunny? I arrived in the city at the end of May without much research, not even reading WikiTravel. Little did I know the Vancouver hiking scene is awesome. Luckily I made some hiker friends and we completed a bunch of the best day hikes in Vancouver during my six months in the city. This list covers most the hikes I did personally while there. As with most things, I’m not much into planning. My friends were the organisers so when told we were doing the Garibaldi Lake trail there were no expectations. 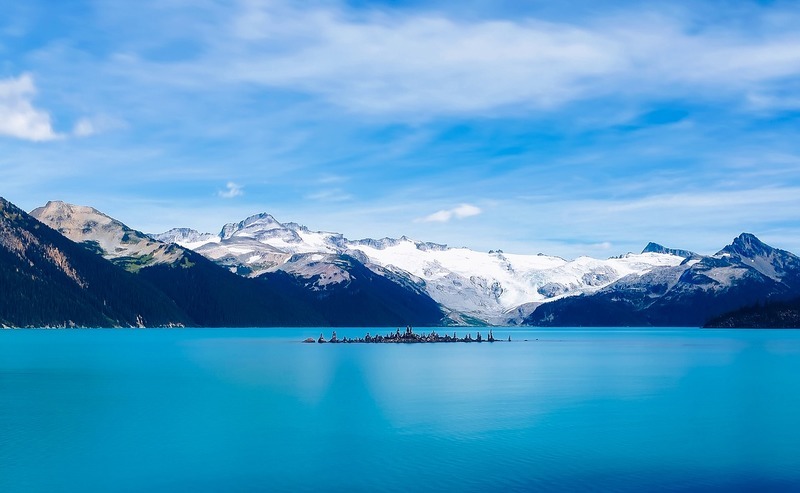 If you hate supposedly awesome hikes not meeting your expectations, then you must hike to Garibaldi Lake. The trail itself wasn’t that memorable with a few switchbacks through the forest. The 9km is relatively easy before your draw drops when you catch a glimpse of the glacier. How I wish I camped there for a night (make sure you book your place in advance…it’s busy)! The Grouse Grind is the most famous hike in Vancouver as there is the option to take a cable car rather than put yourself through the agony of climbing the at times near vertical hike. Pretty much everyone should be able to complete the hike within two hours so it’s not the hardest hike but it’s the neverending upward slope that gets you. When you get to the top after the near 3km hike, expect awesome panoramic views of the city and water. With 100,000+ people making the journey up the hill each year the Grouse Grind makes every list of top activities in Vancouver. My personal best time was 47 minutes, 29 seconds in three attempts. I hopped over to Victoria Island to visit some friends and made my way along this chill 3km trail. You’re along the beach so if the tide is high, you may not be able to complete the trail. It’s incredible to have such awesome views close to the city! Getting the short Ferry to Bowen Island from Downtown is easy, and can be down in less than 90 minutes. The trail starts as soon as you reach the island. Following the lake is beautiful, I really like the trees that have been stripped bare of their leaves and branches that protrude from the water. I liked hiking around Killarney Lake as it isn’t ‘convenient’ enough for most people so it isn’t as busy as most of the other hiking trails in Vancouver region. Once you get the ferry to Bowen Island (less than 90 minutes total time from Downtown Vancouver) you are straight onto the trail pretty much. There are lots of nice views so you’ll have plenty of photo opportunities. 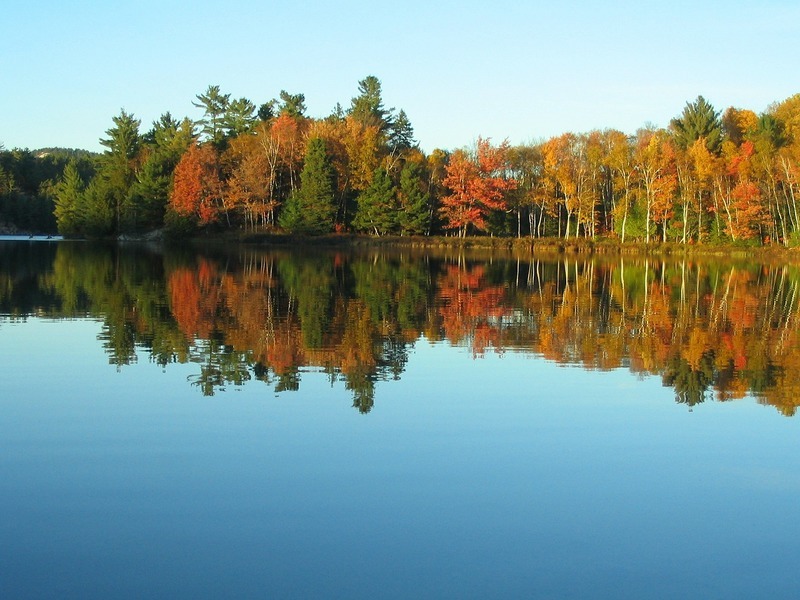 I was most interested in the trees that had been stripped of their leaves and branches while in the lake and protruded from the water. It was really interesting, something I’d never seen before. This was my first Vancouver hike I completed so will also hold a special spot in the heart. The trail is 15km each way, but as I was with a larger group we turned around at the 11km mark after losing people! As long as you don’t mind walking 30km a day, you’ll have no issues with the hike as it meanders alongside the river through forest with minimal elevation change. 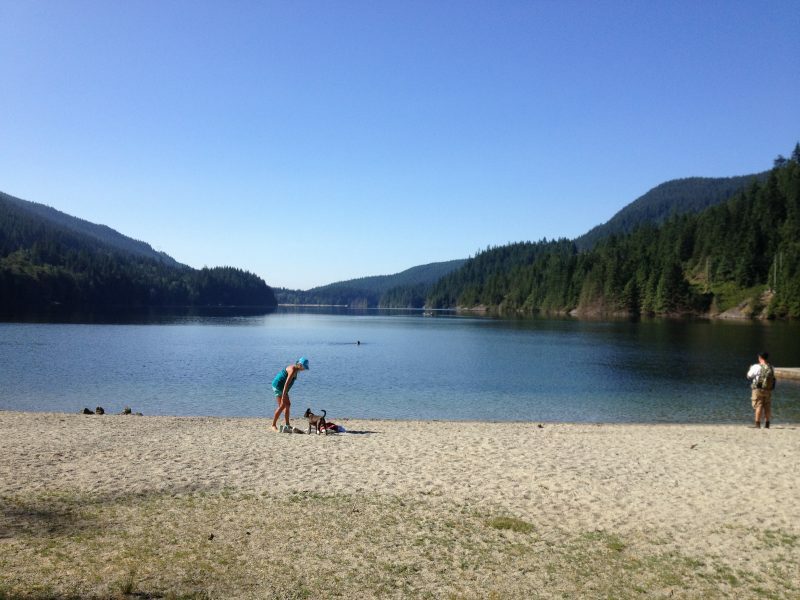 I didn’t realize Buntzen Lake was man-made! It looks so natural but is actually maintained by BC Hydro. This was a good hike for my hangover with only small rolling hills following the lake. Once you get halfway around you get to a beach area that has some nice views across the lake while you have a picnic. If it’s a hot day, take a quick dip! Initially planning to do Shannon Falls, we got lost and wound up doing the Chief (1st of 3 peaks). This famous Vancouver hike is awesome as you clamber up the ladders and the chains as we scaled the rock at the top was unique. Despite its popularity, there is plenty of space to have an epic sunbathing session on top of the rock. My legs were buggered the next day on this one, I am guessing due to the fast decline we made. The best viewpoints on this trail are the 1st and 5th with the other views not exactly something to write home about. 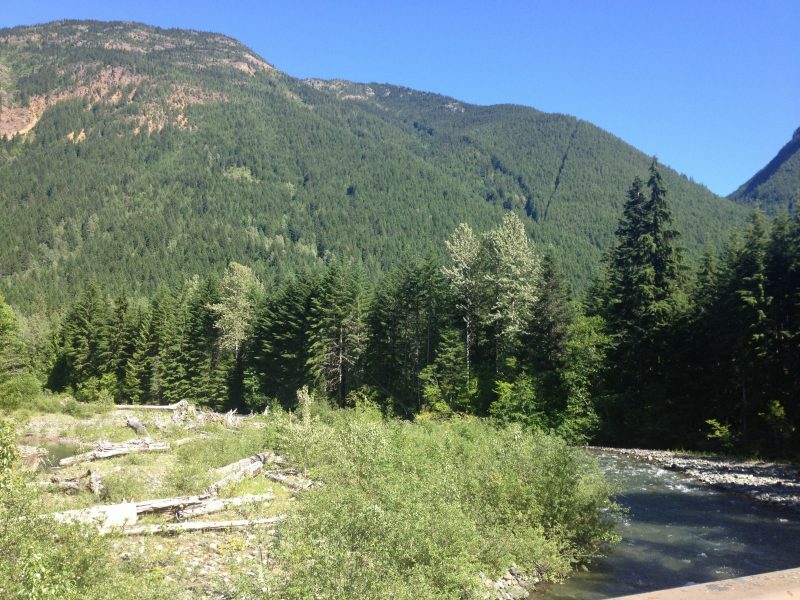 The start of the trail is by Buntzen Lake but instead, you navigate a series of switchbacks around the Indian Arm. You could comfortably complete both the Diez Vista and Buntzen Lake hikes in the same day. Fun Fact: Diez means 10 and Vista means view (there are 10 viewpoints along the trail). Alright, so this one is probably not going to be accessible to most people as I was lucky enough to take a small plane to Texada Island. The very casual airport puts you straight on the near carless road surrounded with nature on either side (it felt like a scene from a movie). The 51km long island is remote, so along with very few residents, you’ll find very tourists/locals on holiday. We saw seven deer, more than the number of cars on the road! 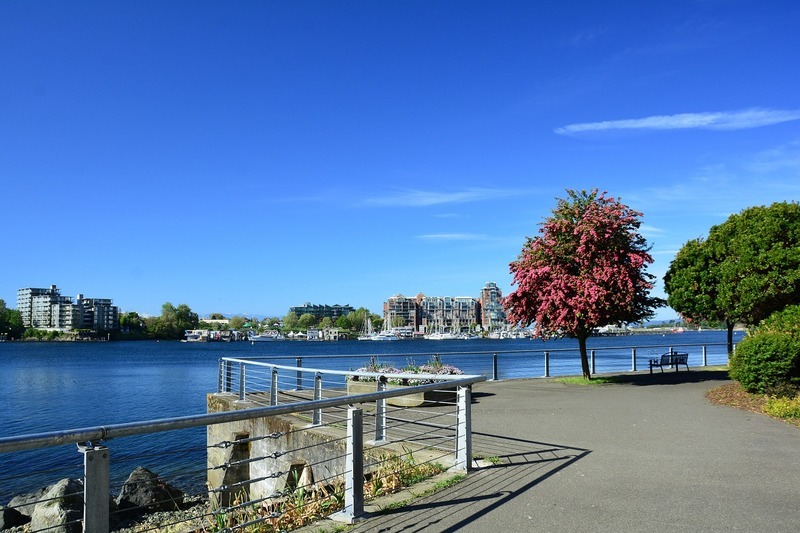 Are You Ready For An Awesome Day Trip Hiking In Vancouver Yet? 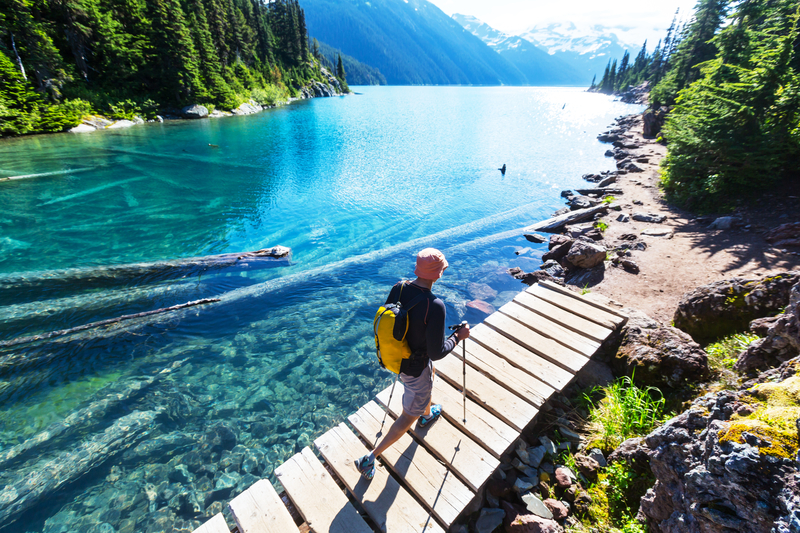 If you get a chance to spend time in Vancouver during Summer, make sure you go on as many hikes as possible! They’re all stunning in their own way and many of them are accessible via public transit from Vancouver. Vancouver hiking really is the nuts! I would love to hike in Vancouver, Jub! These spots seem breathtaking! I will visit Vancouver this summer. 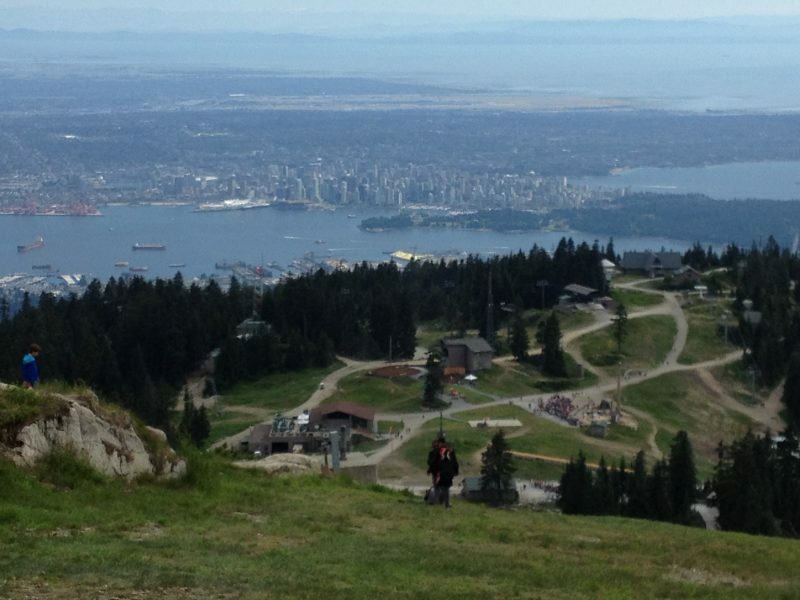 is it ok if I hike in Vancouver in the summer because I do not like hot weather?